Simple fitting system that gives shelving that ”floating” effect. Minimum of two stainless steel shelf fittings for wall mounting. Shelving in e.g. 8 mm tempered glass. Length as desired and determined by the length of the shelf panel. 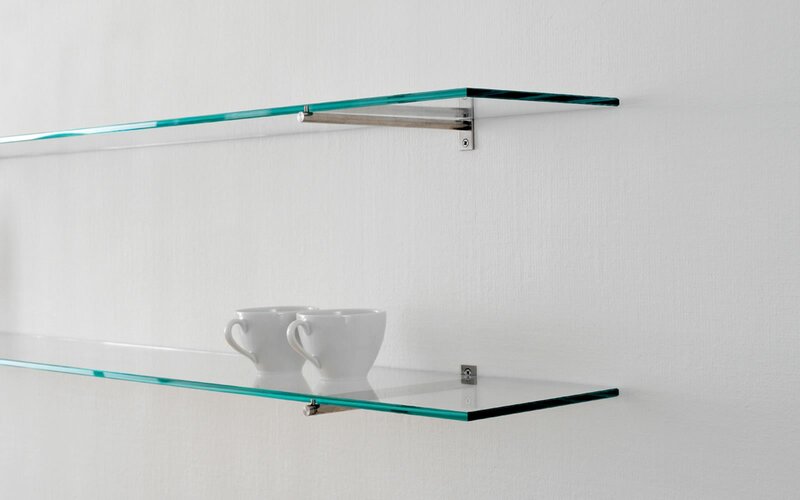 8 mm tempered glass shelves or shelves in e.g. plexiglass, plastic composite or veneer.